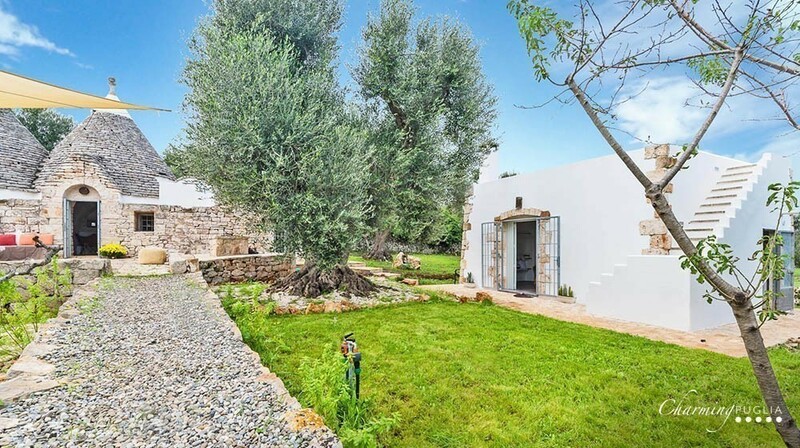 Trullo Messapia is a wonderfull villa with two “Trulli” plunged in a green garden with olive trees, and located in the countryside of Ceglie Messapica. 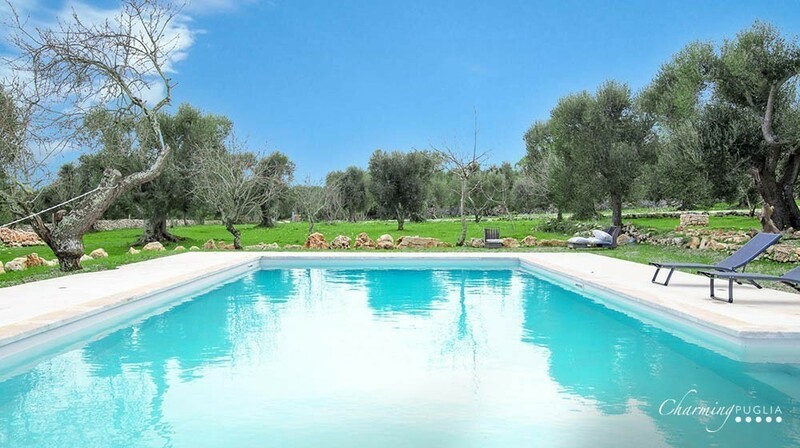 The large garden houses several relaxation areas with seating and sofas; through a pebble path you can reach the pool, featuring a solarium and an outdoor shower. 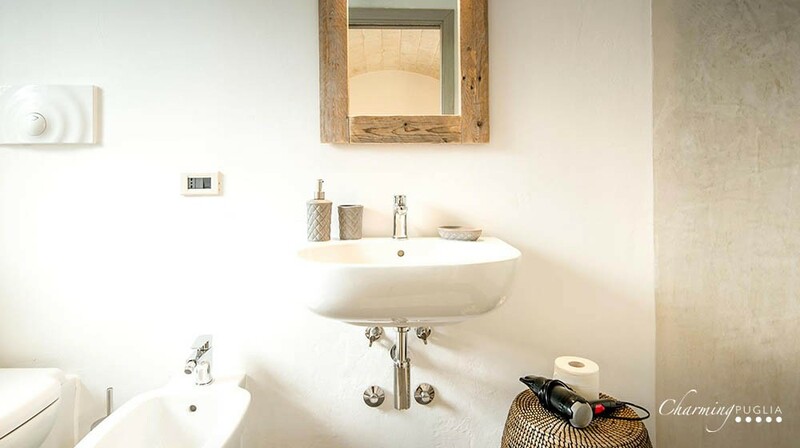 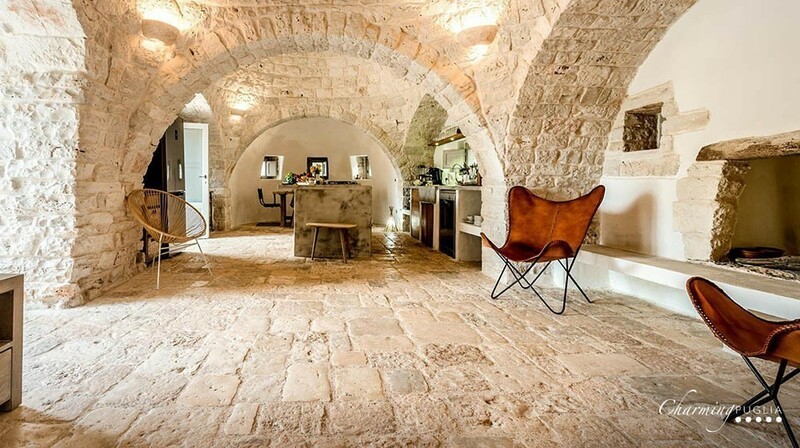 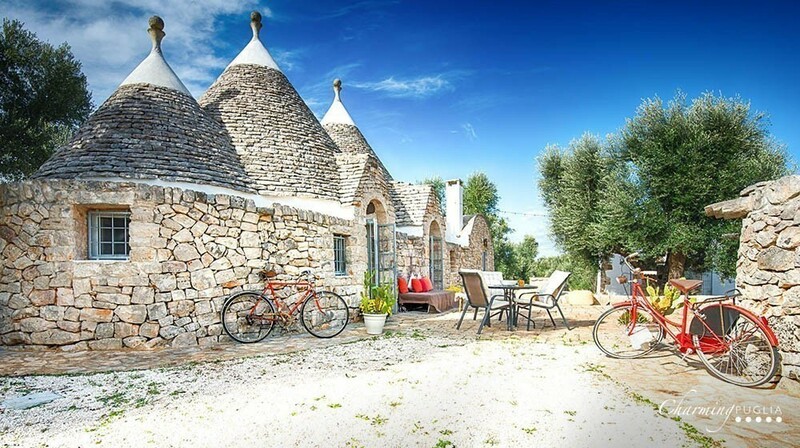 Trullo Messapia is composed of three separate buildings, housing the three bedrooms. 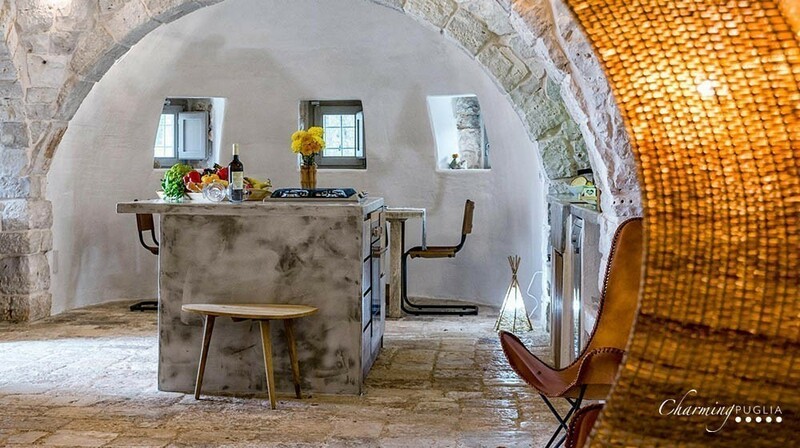 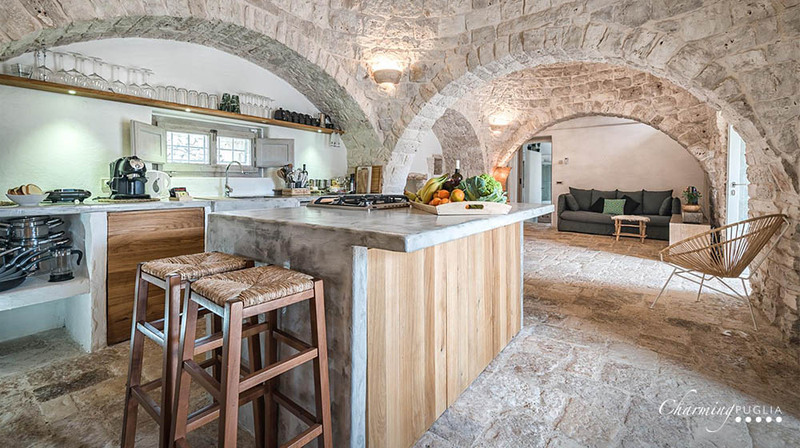 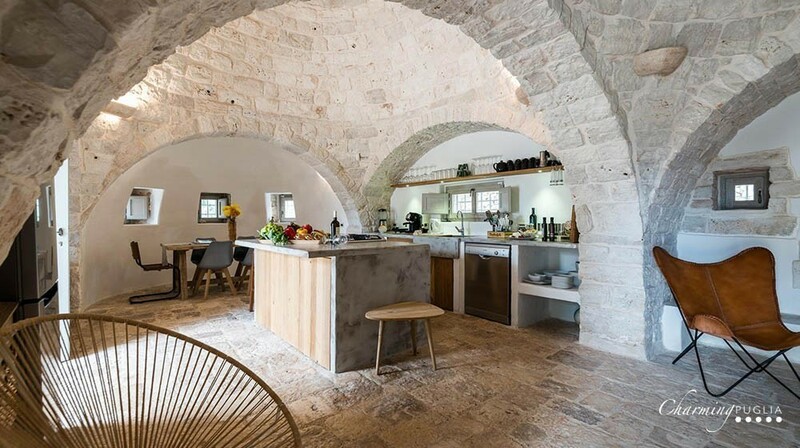 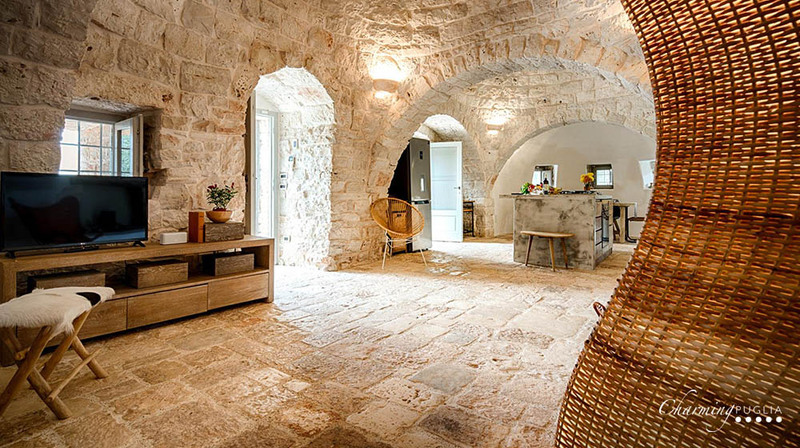 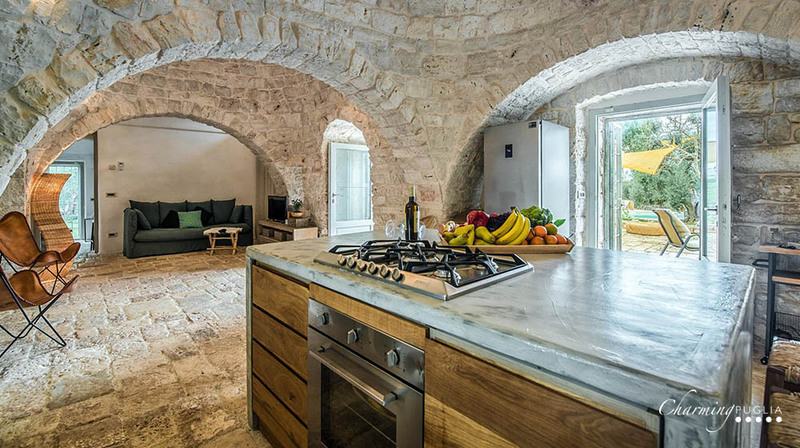 The main trullo with three cones opens with a large living area, characterized by typical floors and walls, with a modern kitchen island. 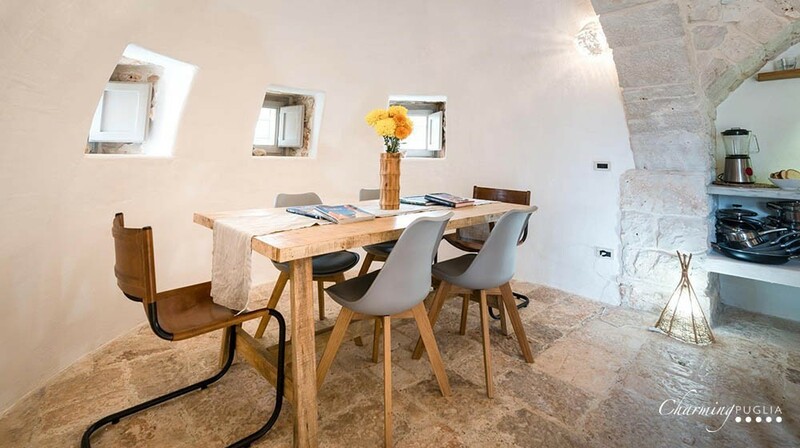 On the left there is a dining table, while on the right there is a relaxation area with sofas and fireplace. 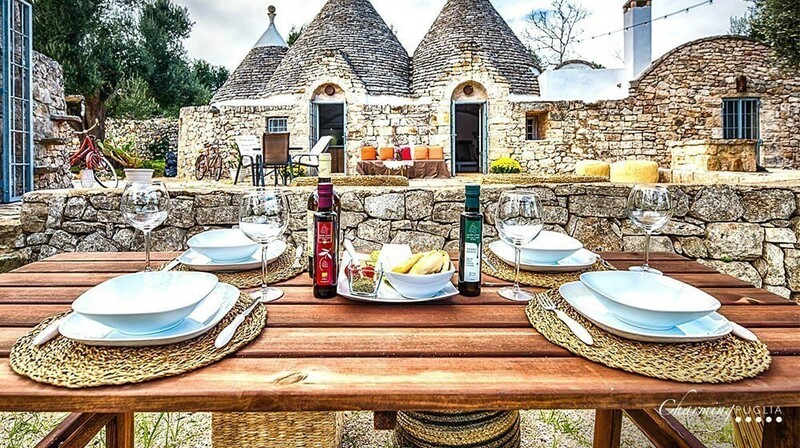 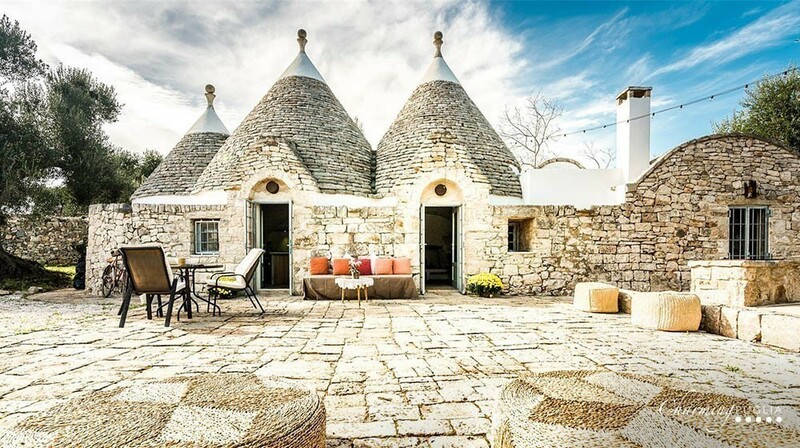 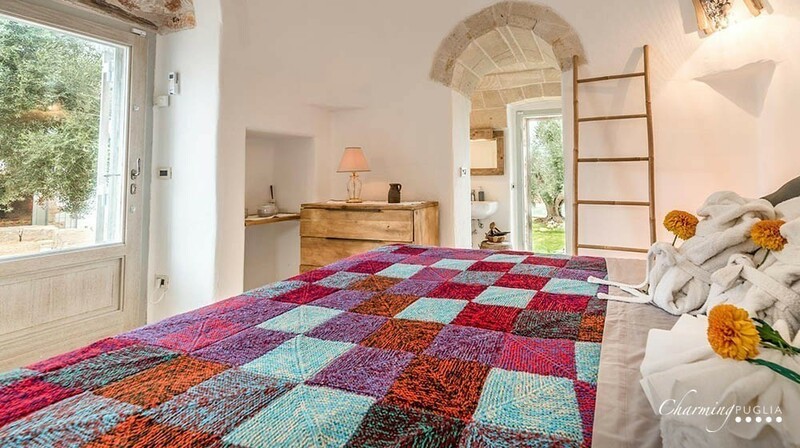 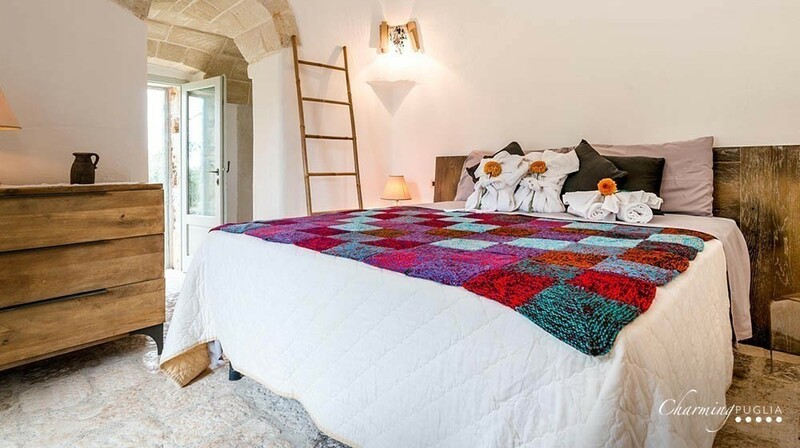 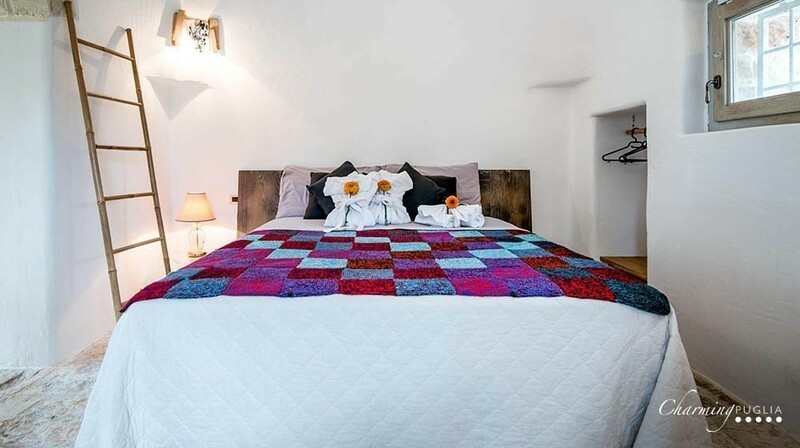 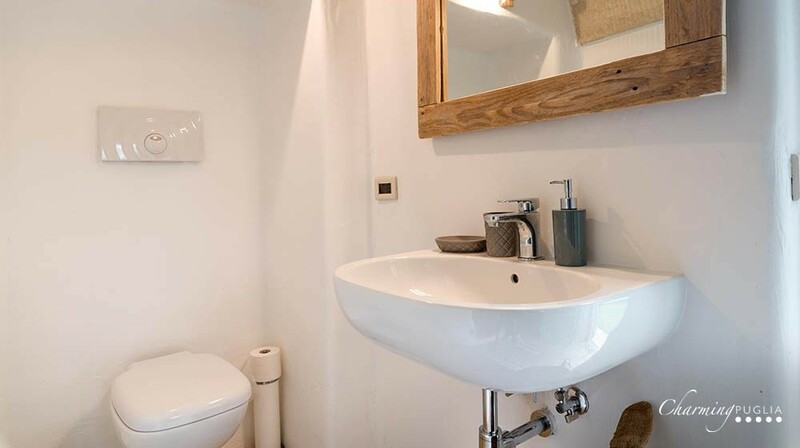 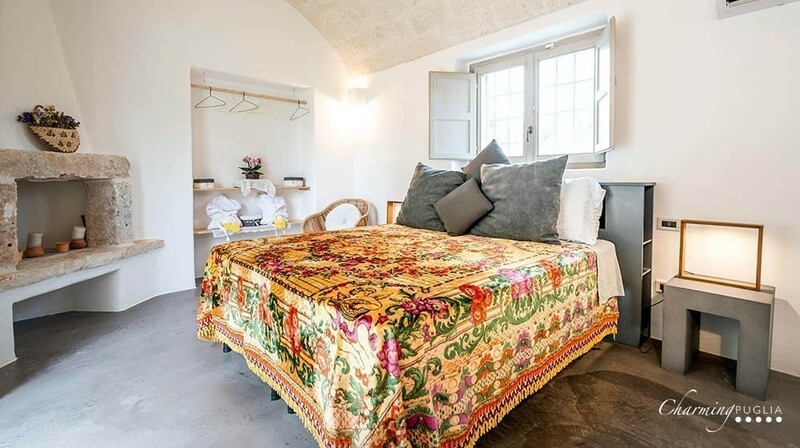 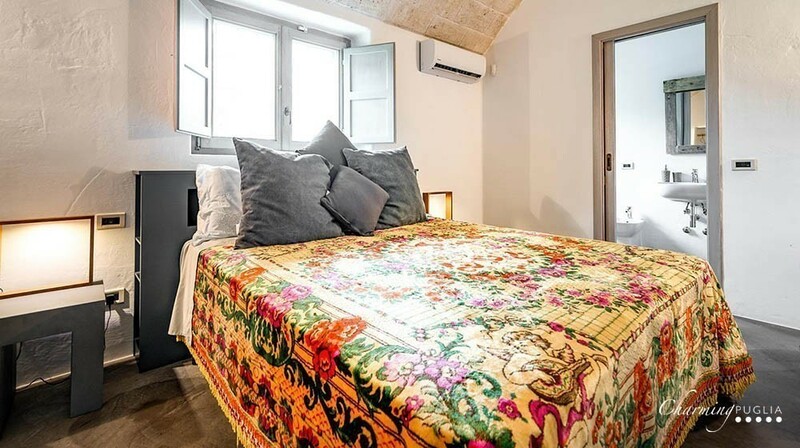 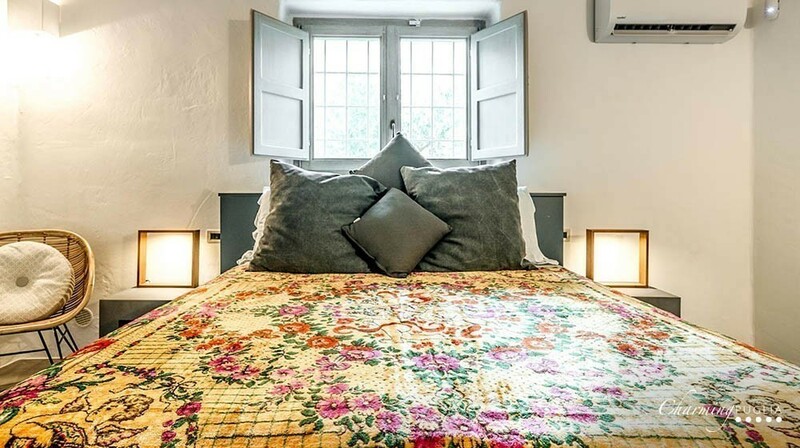 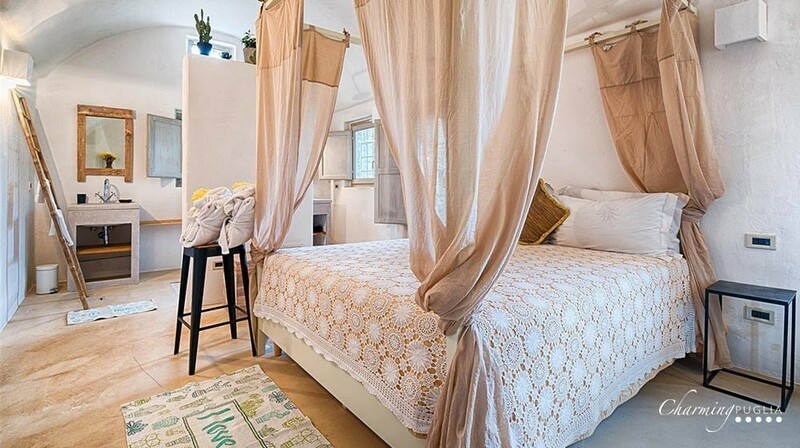 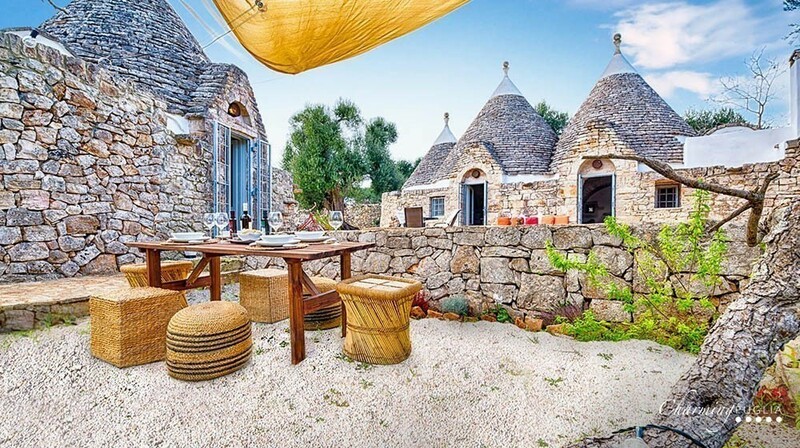 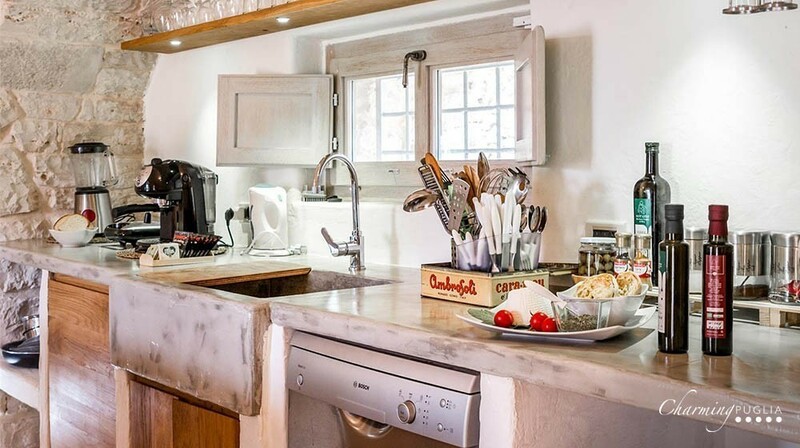 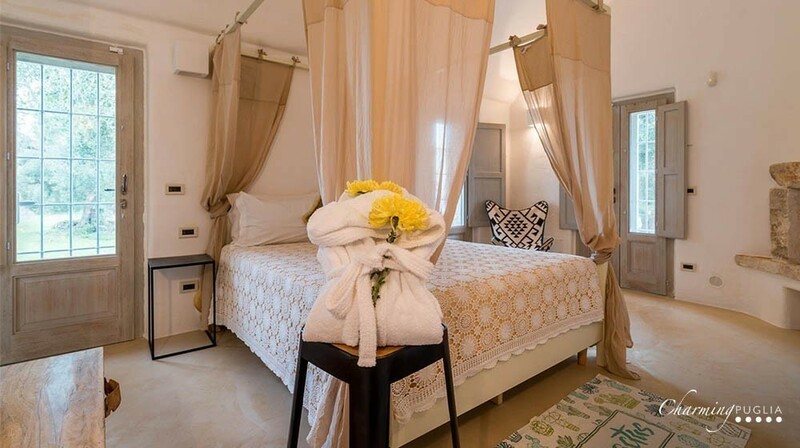 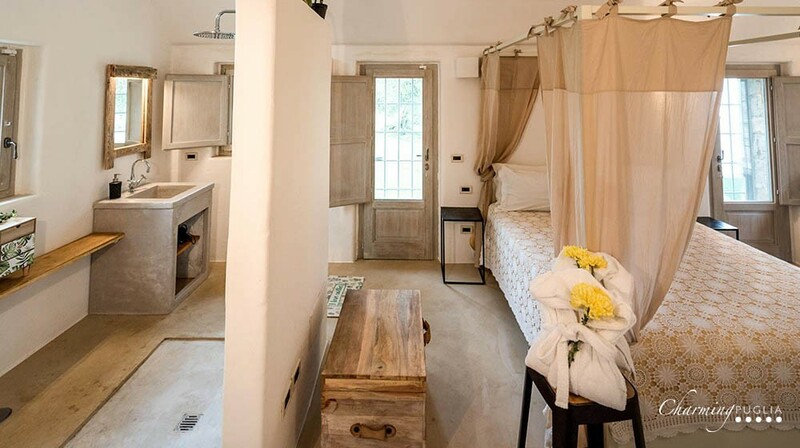 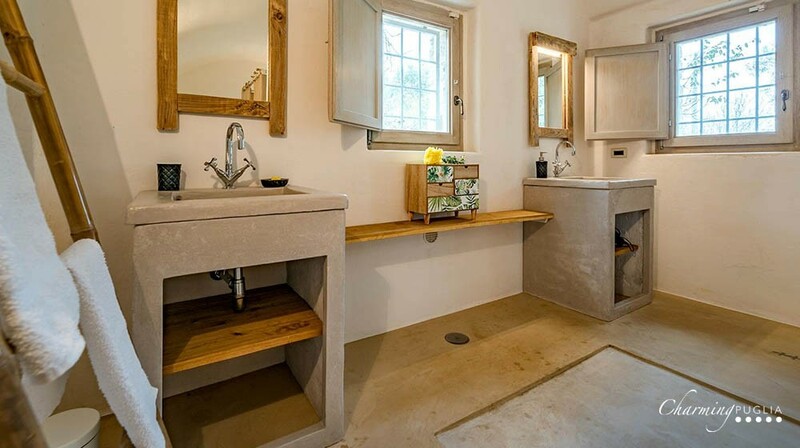 This trullo has a double bedroom with a four-poster bed, a bathroom with shower and separate toilet. 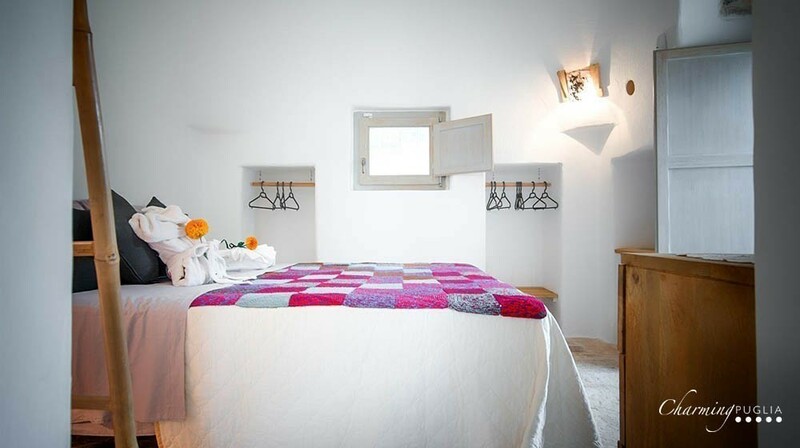 The second and third bedrooms, each with its own bathroom, are located in the two separate buildings.